A huge diversity of flowering plants rely on animals to carry pollen from one flower to another, ensuring healthy, more genetically diverse offpsring. These animal-pollinated species are in a somewhat unique position, from an evolutionary perspective: they can become reproductively isolated, and form new species, as a result of evolutionary or ecological change in an entirely different species. What keeps mutualists honest—cake, or death? 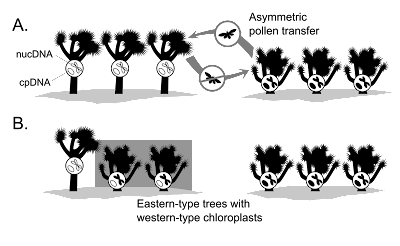 Somewhat like cooperation between members of the same species, mutually beneficial interactions between different species should be prone to fall apart when one species evolves a way to cheat the other. Biologists who study mutualism (myself included) have long believed that the solution to cheating is to punish cheaters—but a new model suggests that the benefits gained from playing nice might be enough to deter cheating [PDF]. 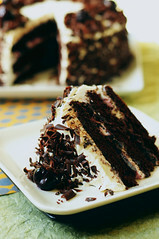 Cake: definitely preferable to death. Photo by 3liz4. The new analysis by Weyl et al. applies an economic modeling framework to species interactions in which one species provides some benefit to another, and then itself receives a benefit that at least partially derives from the help initially provided. To take one example the authors cite, many ant species colonize acacia plants, which grow structures in which the ants can nest (or domatia), and often produce nectar or other food rewards for the ants. The ant colony defends the plant from insect herbivores, with the consequence that the plant can devote more energy to growth, including new domatia and new leaves to fuel nectar production via photosynthesis. In many such interactions, it’s been thought that each species can only keep the other from cheating—taking the benefits of the relationship without returning the favor—by actively punishing such behavior. Weyl et al. argue that instead of punishment, cheaters might be deterred if their refusal to play their role results in reduced payback from the other partner. In the ant-acacia example, ant-tended plants kill off branches that lose a lot of leaves to herbivores, which can happen if the ants cheat by slacking off on their protection duties. But this isn’t punishment as such, say Weyl et al. 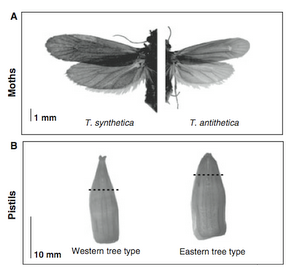 Plants that aren’t protected by ants also kill off damaged branches, to conserve resources. Instead, because ant domatia tend to be located on the youngest, most herbivore-vulnerable shoots of ant-tended plants, lazy ants harm themselves by allowing herbivores to trigger a response that the plant would make whether or not it hosted ants. 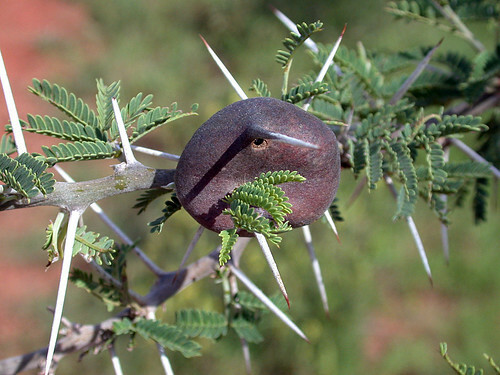 An ant domatium on a “whistling thorn” acacia tree. Photo by Alistair Rae. It sounds a bit passive-aggressive on the plant’s part, doesn’t it? 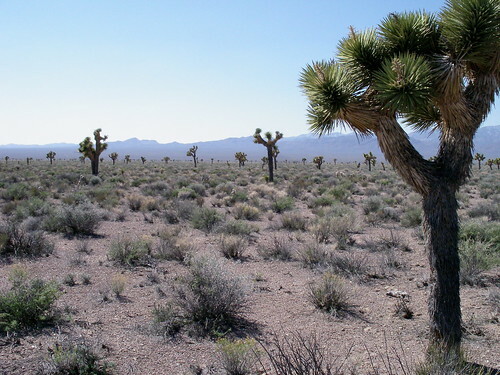 But let’s look at the example that caught my attention: yuccas and yucca moths. Yucca moths are the sole pollinators of yuccas, and lay their eggs in pollinated yucca flowers; as a pollinated flower develops into a fruit, the eggs hatch, and the new-born larvae eat some of the seeds inside. Moths have good incentive to cheat on yuccas by laying lots of eggs in a single flower or not providing much pollen, but yuccas abort flowers that receive too many moth eggs, or not enough pollen [PDF]. Those of us who study yuccas have tended to interpret this as punishment, since killing off a pollinated flower also kills off any seeds a yucca might have produced via that flower. However, as Weyl et al. 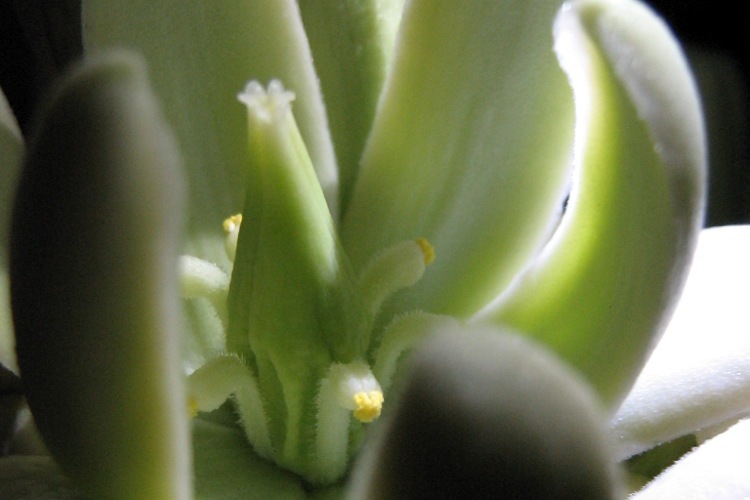 note, yuccas abort flowers in response to damage to the floral ovules [PDF] (the tissue that will become seeds when pollinated), not to the presence of moth eggs per se. 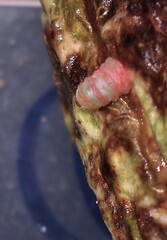 Moths generally damage the ovules a bit when laying eggs inside the flowers; but damage without eggs has the same effect. If floral abortion were punishment, say Weyl et al., it would occur as a result of moth eggs alone, not damage to the ovules in general. In other words, the mutualists analyzed by this new paper are kept honest not by the threat of punishment (death) but the possibility that cheating will result in reduced rewards (less cake). It’s a clever inversion of perspective, and I’ll be very interested to see whether new empirical studies can back it up. 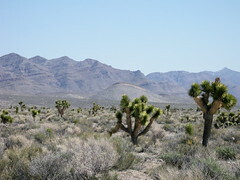 Nature writer and photographer Chris Clarke is a great fan of yuccas and yucca moths—he’s working on a book about Joshua trees right now—and so he asked me to answer a few questions about the latest research on the evolutionary history of yucca moths, which was just published in the Biological Journal of the Linnean Society. Check out Clarke’s discussion of the mutualism, and our e-mailed interview, on his blog Coyote Crossing. Look for a post about the paper, with some basic explanation of the methods used in it, right here at D&T next Tuesday. 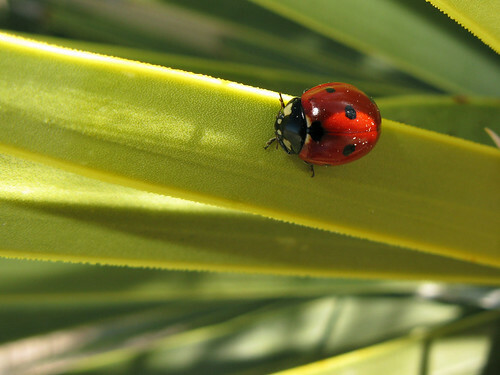 Ladybird beetle on a Joshua tree leaf. Photo by jby.